Diving was invented in 1974. Within minutes diving pestilence evolved. Thus Dr Oli Firth had to be built out of the finest elements known to humanity. Now he is here to answer all your diving medical queries. So get on it or we'll have to deconstruct him again and use his bits to build a ferocious squirrel. No one wants that. The Dive Lectures at the Royal Geographical Society were a great success yet again in 2016, with a sell out crowd and a record amount raised for Scuba Trust. Check out our behind the scenes cam from the night. Let me start by introducing myself, I am Tanked Up Magazine's New Editor in Chief and I have chosen to start with a bang: Issue 24, the H*Bomb issue. 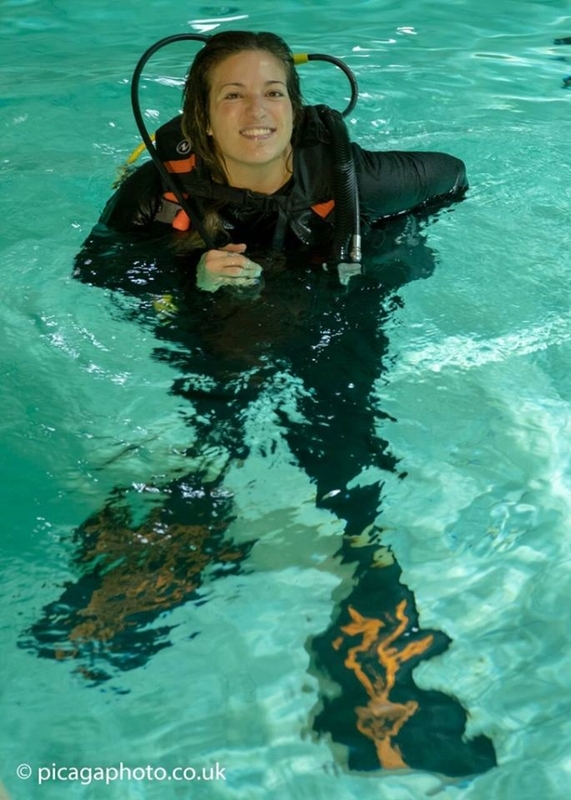 I am a diver, nothing fancy, and I love diving in the UK. I have dedicated my career to doing so since completing my porridge in the tropics and realising I dislike donning wetsuits to that extreme. Juliet wrote in the first issue of TU "An old scuba diver friend once commented that mainstream diving magazines worldwide have never really changed in the last 20 years. But divers have." This to me still rings true. I love to celebrate cool and relevant diving content and I am so excited to have the opportunity to grow this mag from the sea bed upwards. In this issue we focus on the Docs getting beasted by Kristin the Scuba Personal Trainer, we hear from DCI survivors with their accounts of being bent abroad. In addition to these reads, Scuba Trust take us on an inspirational journey to the Cenotes with their amazing team of instructors. The man himself, the incredible Paul Rose takes us on a gripping journey of his experience dealing with his health and diving while our trip contributors continue to encourage underwater adventures in some dreamy locations, and much more. I would like to extend a huge thank you and a large appreciation to all of the entrants that took part in the Front Cover Competition. We were overwhelmed by the number of entries and it was a task and a half having to decide between them all. They are all winners in my eyes as advocates of our precious waters. Special well done to watery photo winner Daniel Lawrence, who made the front page with his entry of his love, the mermaid with red hair, what a beautiful moment to capture and the TU team thank you for sharing this with our readers. So here goes, pre dive safety checks done, see you at the bottom. And so: Upload your Club Night photos and the good photographs you've taken in the deep. Even take a step on your journalistic career and write up your last dive trip. Whatever sort of diver you are, from a violent sociopath like Tyson the triggerfish to a sexually-retarded instructor like Brad, enjoy this website and get hold of a copy of Tanked Up Magazine.